Everyone has heard about the Irish legend that says there is a pot of gold at the end of the rainbow. Bacarest Games has created 5 reels and 20 pay lines slot on this theme known as the Rainbow Riches. Rainbow Riches Games are available on all the casinos that support Barcrest software such as the Mail Casino. It offers many rewards. The graphics are pretty simple but the usage of bright colours make it very attractive. The slot is set against a purple sky with a big beautiful rainbow drawn on it. Below the rainbows are the mountains and a forest. Playing Rainbow Riches Games can let you win a top prize worth £200,000 at a time. Rainbow Riches has been designed using all the seven colours of the rainbow. Set against the background of a rainbow, the slot is made with intricate details. It has a white background and specially designed symbols are placed on it. The symbols include some magic creatures like Leprechauns, pots of gold and wishing wells. In addition to these, there are some ornamented Card symbols from 10 to A. Set the bet before starting playing this Irish themed slot by clicking on the + and - arrows. The bet can be from 20p to £500 per spin. With the Rainbow Riches, you can surely grab a pot full of gold once you finish playing, thanks to all its amazing bonus features. Rainbow Riches Games are really easy to play and have a gold coin as the wild symbol. The other symbols mentioned above including wishing well, Leprechaun and a pot of gold also act as bonus symbols having a bonus of their own. If you land three or more of the Leprechaun scatter or bonus symbols, you will trigger a new game. You will be taken to a screen with a path that has different values of multipliers as the milestones. There is also a wheel of fortune that shows numbers from 1 to 6. The number that lands on the wheel is a number of steps you take and if you hit the collect option on the wheel, this feature will stop. The last multiplier will then be applied to your winning. The wishing well bonus is triggered by landing 3 or more wishing wells. You have to choose one of the wells and a multiplier will be rewarded to you. There is also the Pots of Gold bonus that randomly rewards the player a multiplier through a mini game. Rainbow Riches is a fun slot that has numerous bonus games to add to the excitement. The theme of the slot is great and you will be captivated by the simple yet attractive graphics. 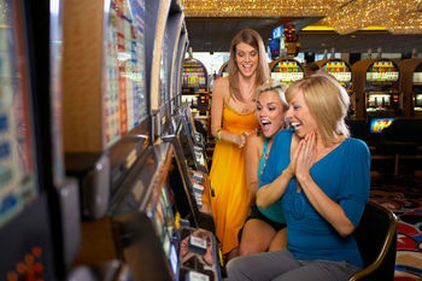 You can play as many Rainbow Riches Games as you want on all the Barcrest casinos such as Mail Casino.